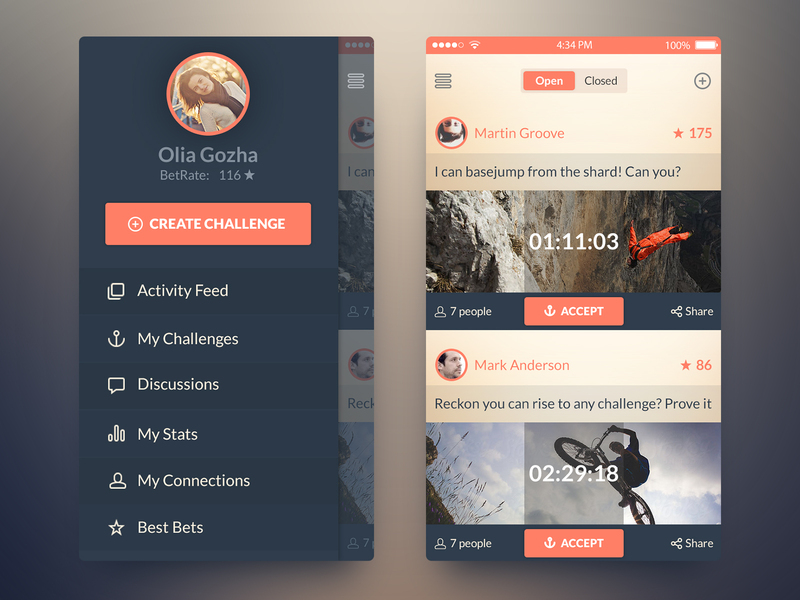 Download Modern design iOS7 Challenge App PSD. 2 screen app to create challenges and bet your friends. Attractive iconic side menu with circle image profile and social challenge page. Enjoy!